in Addition you will receive 20-45% off our Retail Parts Pricing! *This Program is for Wholesale Business Customers Only. Retail Customers please CLICK HERE. We offer Winnebago, Itasca, Winnebago Touring Coach and Workhorse Parts. on all in-stock parts from our warehouse and Winnebago's. We ship parts throughout the country and internationally. We use UPS, FedEx, USPS and Motor Freight services. Trim Pieces, Decals and More Winnebago OEM Parts. Contact Lichtsinn RV Parts at 1-833-286-2116 for more information on becoming a Wholesale Parts Partner or fill out the form below. By seeking information from Lichtsinn RV, you agree to receive information periodically about ongoing specials. Should you no longer wish to receive information, instructions for removal are included with every email received. 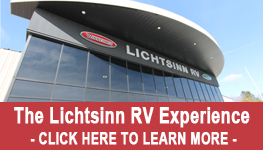 Lichtsinn RV will not release your information to third parties.